African entrepreneurs are starting to attract foreign investment, but many challenges still need to be solved. In 2017, $560m was invested in African start-ups, according to Partech Ventures. South Africa received 30% of the funding, Kenya received 26% and Nigeria received 20%. At least 87% of the funding went to technology firms focused on developing new online, mobile and financial services. The European Commission is to ask its members to share more data to tackle cybersecurity risks and certification related to 5G networks, however it is planning to ignore calls from the US to ban Huawei, multiple sources have told Reuters. The recommendation will be made by European digital chief Andrus Ansip on Tuesday 26 March. Big telecoms operators oppose a Huawei ban, saying such a move could set back 5G deployment in the bloc by years. Financial markets were "not as nuanced as people would like", she explained, and tended to overreact to both good and bad news. She added that the Fed had been stunned by how quickly the economy had responded to the rise in interest rates, and that the response had been far more than the Fed expected. 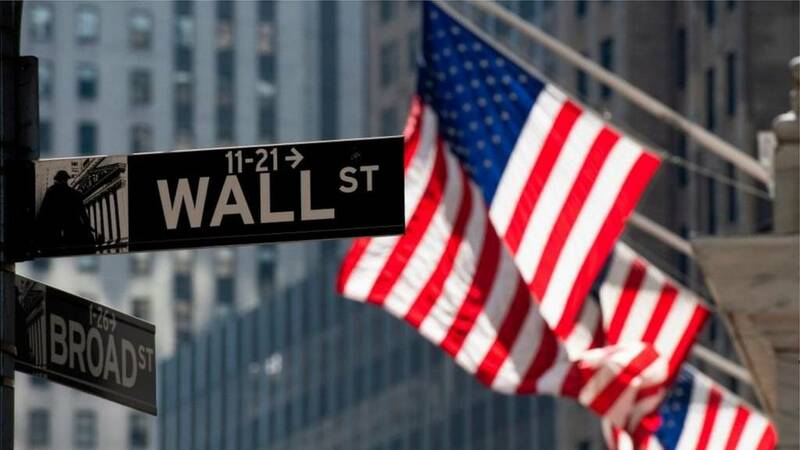 Wall Street stocks have ended lower, due to investor concerns about a possible global economic slowdown, following weak manufacturing data today from Europe, Japan and the US, as well as the Federal Reserve's cautious tone on interest rates earlier this week. The Dow Jones Industrial Average ended the day 1.8% lower at 25,502.32 points, while the S&P 500 dropped 1.9% to 2,800.71. The tech-heavy Nasdaq meanwhile plunged 2.5% to 7,642.67. Pinterest has just made its IPO filing to the US Securities and Exchange Commission public, and intends to trade its stock using the ticker "PINS" on the New York Stock Exchange. In the filing, Pinterest reports revenues of $755.9m for the 12 months to 31 December 2018, as well as a net loss of $63m. It says it has 250 million monthly active users and over two billion monthly searches. In a tweet on Friday, Mr Trump referred to "additional large-scale sanctions" by the US Treasury that had been added to already existing restrictions. The US Treasury has imposed sanctions on Venezuelan development bank Bandes, a day after opposition leader Juan Guaidó's top aide Roberto Marrero was arrested. “The willingness of President Nicolas Maduro’s inner-circle to exploit Venezuela’s institutions knows no bounds. Regime insiders have transformed Bandes and its subsidiaries into vehicles to move funds abroad in an attempt to prop up Maduro," said Treasury Secretary Steven Mnuchin. "Maduro and his enablers have distorted the original purpose of the bank, which was founded to help the economic and social well-being of the Venezuelan people, as part of a desperate attempt to hold onto power. “The regime’s continued use of kidnapping, torture, and murder of Venezuelan citizens will not be tolerated by the US or the international coalition that is united behind President Guaidó." Business entrepreneur Sir Richard Branson has published a blog today expressing his concerns about Brexit - he is concerned that the UK is "dangerously close to full-scale disaster". He says the consequences of Brexit have affected "investment in the UK, the nation’s ability to trade goods and services, to travel", and that many UK people "have changed their minds" in the last two years. "The UK Government must now put all options on the table, and giving the people a final say must be one of these options," he wrote. "If it is not, there is only one alternative – a clear decision by Parliament to require the Government to revoke Article 50 and start the process again from scratch, armed with the facts. "There is little time to avoid a multi-generational disaster." A self-driving shuttle bus service is to be deployed in New York City by the middle of the year. UBS Global Wealth Management has published a new brief looking at what it expects for Brexit, a possible no-deal, and how it will affect the Sterling. “We expect they will be compelled to seek a longer extension to Article 50," said Dean Turner, UK Economist at UBS Global Wealth Management. UBS thinks it will be quite difficult for Theresa May to get the Withdrawal Agreement passed through Parliament, and the possibility of an "accidental no-deal exit remains real". “In our view, it is prudent to tread cautiously while the news is fast flowing," said Mr Turner. "We do not advocate taking directional views on the currency, but we remain alert to entry and exit opportunities if volatility persists. Wall Street shares are now much lower due to a combination of several issues, from the inversion of the bond market yield curve, to the weak manufacturing data in many countries, to the Fed indicating it is unlikely to raise rates for the whole of 2019. The Dow Jones Industrial Average is now 373.8 points or 1.4% lower to 25,588.71, the S&P 500 is 44.2 points or 1.6% down to 2,810.06, and finally, the tech-heavy Nasdaq is now 160.8 points or 2% lower to 7,678.34. Should personal care products for women cost more? Video caption: 'Pink tax': Should personal care products for women cost more? 'Pink tax': Should personal care products for women cost more? Frankfurt Airport has confirmed that it suspended flights earlier on Friday after two drones were sighted near its runways on the southern side of the airport. "As always, it was safety first," Frankfurt Airport said in a translated tweet. "Flights were immediately suspended, until the situation was cleared-up by federal police. There were no take-offs & landings for 30 minutes. Flight operations are now back to normal. NO chaos!" Is a recession in the offing? The bond market yield curve has inverted for the first time since 2007. The rate on short-term three-month-long US government bonds is higher than the rate on longer-term 10 year US government bonds. An inversion is seen as a powerful signal of recession. According to the San Francisco Fed, pretty much every recession has been preceded by an inverted yield curve, although there is typically a bit of a lag. The Wall Street Journal is reporting that US President Donald Trump has offered economic commentator and former campaign advisor Stephen Moore a position on the Federal Reserve. Mr Moore, 59, is a vocal Fed critic. He was previously on the editorial board at the Wall Street Journal, and is a visiting fellow at conservative US think tank the Heritage Foundation. He is a Trump supporter and wrote a book in 2018 with economist Art Laffer entitled, Trumponomics: Inside the America First Plan to Revive Our Economy. London shares have ended lower, as the pound gained on Friday and poor Eurozone economic data dragged the FTSE down. The FTSE 100 closed 147.7 points or 2% lower to 7,207.59. Top of the losers is healthcare firm NMC Health, falling 6.4% to £24.16. The FTSE 250 ended 349.1 points or 1.8% down to.18,998.46 The losers are led by Morgan Advanced Materials, down 6.3% to 253.9p. Since January, the banks' business clients have been offered a product called Thor Foresight Enterprise free of charge. Heimdal Security sells it as "next generation protection" against cyber-threats.